In this year’s International Design Awards 2015, seven of Logitech’s products was honoured. They are the Logitech G402 Hyperion Fury Ultra-Fast FPS Gaming Mouse, Logitech ConferenceCam Connect which both won Gold, the Logitech G302 Daedalus Prime MOBA Gaming Mouse, the Logitech Keys-To-Go and Ultimate Ears’ UE MEGABOOM which awarded Silver, and the Logitech AnyAngle which took home Bronze. In addition, the Logitech Bluetooth Multi-Device Keyboard K480 took home a Silver and Bronze in two of the International Design Award categories. I have reviewed the K480 keyboard a few months back and I love it so much I recommended to lots of people, and lots of people agreed with me and bought them too. This keyboard rightfully deserves to be won and more people need to be aware of this awesome product which retails in Singapore at S$69. You can pair 3 devices – yes, THREE – and connect to any of them seamlessly via a knob. Without this device, you would either need 3 separate keyboards or pair the device to one keyboard manually over and over again. The K480 is large and heavy, and while it’s not meant to carry around, sometimes I actually bring it with me. 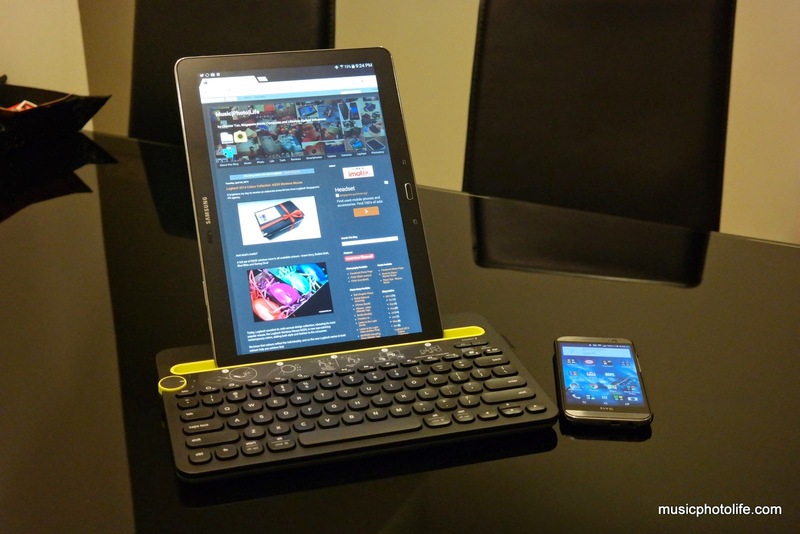 The reason for using this instead of the usual keyboard is that it has a stand which I can rest my device on. Then I can place the K480 on my lap and type. Without this built-in stand, it is not possible for me to work without a proper table. Head over to my original review article here for further read. Congrats Logitech! Looking forward to more great and affordable products this year!